Jimmy Wales, the founder and face of Wikipedia, has embarked on a mission to combat the spread of fake news. His solution to the problem is Wikitribune, an online platform pairing professional journalists with a community of ordinary people. Ordinary people who’ll fund the whole project. Fake news is What Is Fake News and How Does It Spread So Quickly? What Is Fake News and How Does It Spread So Quickly? Fake news is plaguing the internet and the worst part is that most people can't recognize it when they see it. Read More news that’s either entirely fictional, created purely for clicks, or framed in such a way as to push a certain narrative. 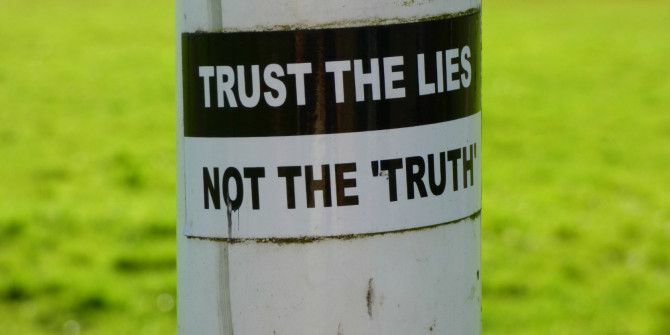 Oftentimes there’s a kernel of truth at the heart of fake news, but it’s manipulated by journalists in such a way that this truth is hidden behind layers of bullshine Facebook Offers Tips to Help You Spot Fake News Facebook Offers Tips to Help You Spot Fake News While Facebook doesn't produce fake news, it's at least partly responsible for its dissemination. Which is why it's now offering tips to help you spot fake news before it spreads. Read More . Wales claims that news, and the way we consume it, is fundamentally broken. He suggests that the internet is to blame for this; partly because advertising now funds the reporting of news, and partly because social networks continually confirm our biases. Thus, the facts are distorted. Wikitribune is an online news platform where journalists work with the community to produce evidence-based journalism. The journalists hired by Wikitribune will be required to produce news stories “based on facts that they can verify,” with the community keeping them in check. Anyone and everyone will be able to read the stories appearing on Wikitribune. There will also be no advertising. Instead, the journalism and other costs will be paid for by donations, either one-off payments or monthly contributions. Monthly supporters will be able to suggest topics. Wikitribune has launched a crowdfunding campaign to get started, with the aim being to hire 10 journalists. Once the money starts rolling in, the journalists will work on producing news stories Wales clearly feels will be of a higher quality than most now being published online. Wikitribune seems to be a good idea. After all, it seeks to reconnect journalists with the people they’re meant to be working for. However, maintaining neutrality will be a challenge, as will keeping the whole funded. Both of which are problems Wales’ Wikipedia has experienced Wikipedia Is Deleting Notable Websites for "Reasons" Wikipedia Is Deleting Notable Websites for "Reasons" MakeUseOf doesn't exist any more, at least according to Wikipedia. Neither does The Next Web for that matter. And several other high-profile tech sites are also facing the chop... Read More . What do you think of Wikitribune? Is it a good idea that’s likely to succeed? Or a non-starter thanks to the need for continual funding? Is it going to prove difficult finding unbiased journalists willing to only uncover the truth? Please let us know in the comments below! Explore more about: Fake News, Wikipedia.